USB clips are the perfect companion to any folder, document or pocket. 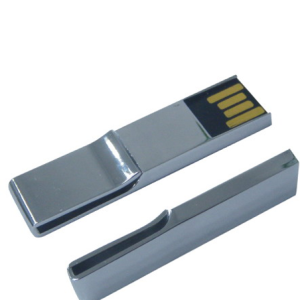 They simply attach like a paperclip or bookmark and are ideal for keeping your data to hand. No more searching through folders or bags for the right flash drive. 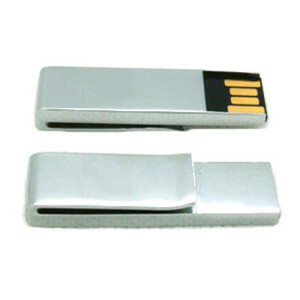 How professional would it look to arrive to a meeting with your USB drive smartly clipped to the top of your paperwork? Each of our USB clips, except the micro clip, is made from metal; the micro clip is plastic. We have USB clips with a memory capacity from 128MB to 32GB. We have a range of colours available to suit your requirements. 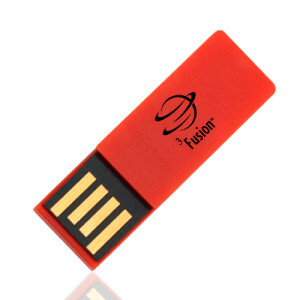 Each USB stick can be branded with your own logo, which can either be printed or engraved using your corporate colours. 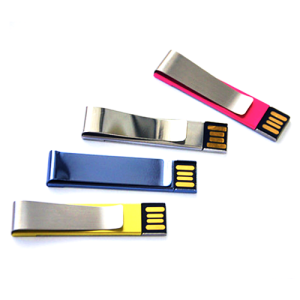 Branded USB drives are popular promotional gifts for conferences and exhibitions. We have a great selection of packing options including a metal gift tin that would enhance the value of the USB clip as a gift. We can also supply personalised USB clips in retail blister packs, with or without barcodes. We source our memory sticks directly from China so that we can offer our customers the best prices. Take a look at our range of USB clips now and contact us for a quote.